Everyone loves blue LEDs and everyone loves coin cell batteries, but if you want to power a blue LED from a coin cell you will need some help. Here is a super-cheap and easy way add a to boost your LED voltage with only an additional capacitor & diode, and a little software. You’ve probably heard about the refreshingly simple Public Radio (TPR). There is no tuning knob needed since your TPR magically knows your favorite station straight out of the box. Remember when almost every image on the internet was trump? With trumpWAP, we can make the web great again. This is huge. 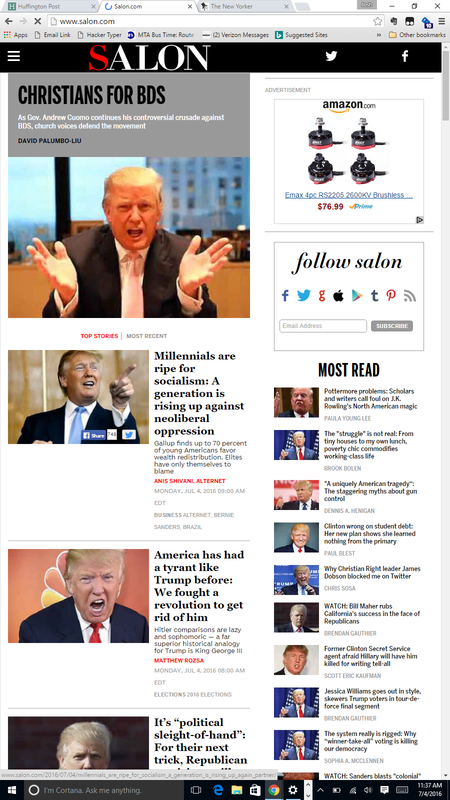 Plug in the trumpWap and on day-1 you’ll get between 20% and 90% more trump (depending on your browsing habits). It’s that simple. Continue reading for more examples of trumped up websites & apps, a perfunctory video demonstration, and info on getting your own trumpWAP! 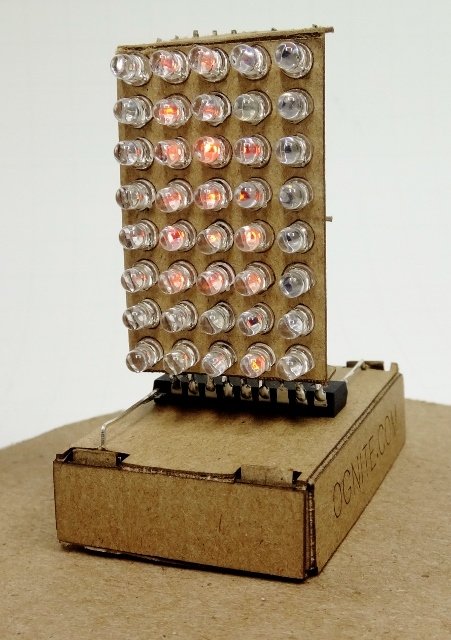 What if you could build the display however long you needed it, for only about $15/foot? What if it was really easy to build and used everyone’s favorite low cost micro-controller so you could easily change the software to do whatever you wanted? Well you can! Read on for details and perfunctory video! We’ve already seen that it is possible to drive thousands of WS2812B NeoPixels with a lowly Arduino using careful bit-banging. But what if we could bang out 8 bits at a time rather than sending them single file? Could it be possible to drive 8 times as many strings (or get 8 times the refresh rate) from our Arduino by processing bits in parallel? It would be like having a tiny pipelined GPU render engine inside our Arduino! Read on to find out the results of a quick proof-of-concept test!…. Making a smart color-changing light bulb is not that hard, but making one that is cheap to mass produce is hard. At $10 per bulb (delivered! ), the new GE C-Sleep bulbs are amazingly cheap, especially considering they include a Bluetooth radio. For Part #1, let’s look at the physical design and construction of these fancy bulbs! AVR Coding Challenge: How many ways can you twiddle this bit? The canonical way to set the interrupt bit on AVR is the sei (enable interrupt) instruction, but there are many creative and devious ways to set a bit. Before you click more, see if you can think of every possible way to set the I bit in SREG, then read on to see if I missed any!